Most new mothers are too overwhelmed with the birth of their new born. here we will talk about Caring for Your Newborn. In this process of many emotional and physical changes, the new mother ignores the need of her body to regain strength. 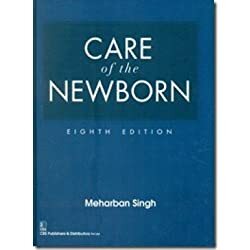 It is very important to know “How to care of you and your new born”. The postpartum period begins after the delivery of your baby and ends when your body has nearly returned to its pre-pregnant state. This usually lasts for 6 to 8 weeks after delivery. 1) You need to take good care of yourself with plenty of rest, good nutrition and a good helping hand during the first few months to take care of the baby. Remember your baby timings will be completely different from yours. 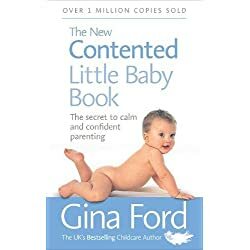 There will be a constant need to feed, change and comfort your baby. So this can lead to exhaustion. It is important that you take help of an elderly parent or a house help. You need to only feed the child and take care of yourself and let someone else take care of the other responsibilities. 2) It is important to sleep and rest when the baby sleeps. This can be only for a few minutes, but remember they add up. 3) It is nice to have visits from friends and family but focus on yourself and your baby’s needs. 4) You can also take a walk for a few minutes outside your house to feel fresh and you can start postpartum exercises on the advice of your doctor. Get outside for a few minutes each day. Remember your body has undergone many changes during pregnancy and birth. It takes time to recover. In addition to proper rest, you need to have a nutritious diet. Normally the weight gained during pregnancy is used up for your recovery and breastfeeding. Most of the doctor’s recommend eating food when you are hungry, so that you can be active and take good care of your baby. Your daily diet should contain whole wheat, brown rice, oats, millet, cornmeal or any other grain products. You need to have a variety of fruits and vegetables in your diet. It is good to have a good combination of green, dark green, red, and orange vegetables, legumes and pulses. Different types of fruits like apples, bananas, oranges and other seasonal fruits need to be part of your diet. You need to have a good amount of milk products in your diet. Choose on low fat but high calcium foods. For e.g., milk, yoghurt etc. Protein is an important part of your diet. Focus on having good protein foods like fish, eggs, nuts, seeds and beans. Oils found in nuts are healthy and full of good nutrients. Cut down on high fat snacks and focus on plenty of fresh fruits, vegetables, proteins and carbohydrates. Have a balanced diet. Regular exercises like brisk walking or jogging can lead to burning good calories and toning your muscles. Your intake of fluids should be very high. Normally when you are breastfeeding, you will feel thirsty quite often. Drink plenty of water, soups, milk or fresh juices. Motherhood is an experience that every woman would want to have. You may have different emotions and challenges in your journey of motherhood. Remember to take one day at a time and God will give you the grace and strength to fulfill this huge responsibility. 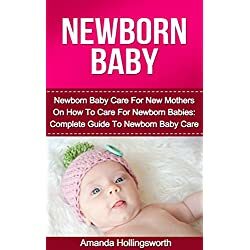 Hope you enjoyed this article – Caring for your newborn.